Today's era of economic crisis has sent a powerful message: The age of "mercenary" capitalism is ending. We must finally embark on a new age of sustainable, stakeholder-based capitalism. While enlightened executives and policymakers understand the critical need for change, few have tangible plans for making it happen. 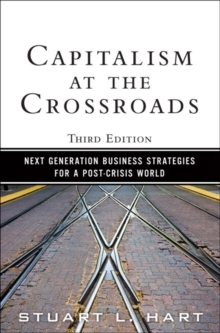 In Capitalism at the Crossroads: Next Generation Business Strategies for a Post-Crisis World, Third Edition, Stuart L.
Hart presents new strategies for identifying sustainable products, technologies, and business models that will drive urgently needed growth and help solve social and environmental problems at the same time. 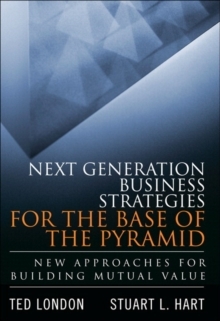 Drawing on his experience consulting with top companies and NGOs worldwide, Hart shows how to craft your optimal sustainability strategy and overcome the limitations of traditional "greening" approaches. In this edition, he presents new and updated case studies from the United States and around the world, demonstrating what's working and what isn't. He also guides business leaders in building an organizational "infrastructure for sustainability"--one that can survive budgeting and boardrooms, recharging innovation and growth throughout your enterprise.